The Minister of Education, Matthew Opoku Prempeh, has announced government’s intention to transform the Non-Formal Education Division of the Ministry into an Alternative Education Agency to address the challenges and concerns of Ghana in the 21st century. 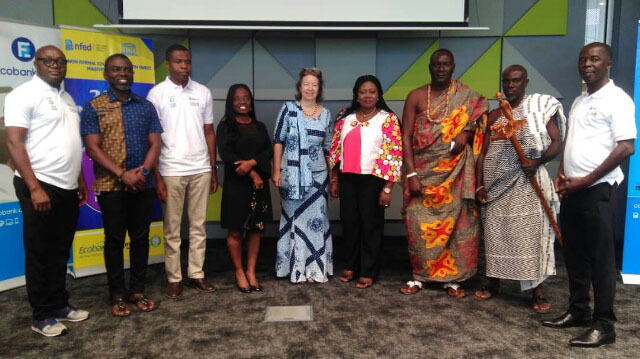 The announcement was made in a speech read on his behalf by the Director of Pre-University Education, Catherine Appiah-Pinkrah, at the World Literacy Day celebration held in Accra. He noted that under the Alternative Education Framework, the Alternative Education Agency (AEA) would implement five key programmes which include an occupational skills development programme for jobless adults, where target groups would have the opportunity to acquire a diploma certificate in Entrepreneurship, as well as a complementary basic education focusing on out-of-school children between six and 14 years. He added that the AEA would roll out a functional basic literacy programme equivalent to primary three, targeting youth and adult non-literates, school drop-outs and neo-literates and remedial classes for junior and senior high school graduates unsuccessful in their respective examinations, offering them opportunity to re-sit and continue with their educational aspirations. “The framework will also include Ghana General Education Diploma for mature entrants of universities, where the agency would collaborate with the West African Examinations Council and the Universities to conduct a standardized diploma certificate to be accepted for entry to all the universities” he averred. Mr. Opoku Prempeh said in fashioning out literacy for the 21st century, it is imperative to align literacy with the prevailing lifetime needs of non-literates, semi literates, and functionally literate in a particular geographical location to close the literacy gap and increase learners’ ability to contribute effectively to today’s globalized world. “Literacy delivery is therefore not just about teaching people how to read and write but that in doing so the learner would be able to acquire the requisite skills of their choice to address their individual societal needs” he added. Acting Director of the Non-Formal Education Division, Francis Asumadu, noted that literacy and skills development are inseparable and any attempt to downplay the one against the other is a recipe for failure adding that in the case of adult literacy it made the programmes unattractive and less relevant to the target population. He said a perfect mix of literacy and skills development was therefore the most reliable way for income generation and self-employment.